NORE, the Network of Orthopaedic Registries of Europe, is an international registry network built up as a standing committee of EFORT and founded in 2015. The network is organised as an EFORT standing committee and reports to the EFORT Board. NORE focuses on medical device surveillance and arthroplasty outcome in order to support improvements in patient care. NORE provides advice and awareness to EFORT on international perspective, experiences and practices in medical device surveillance and outcome. This ranges from data capture (e.g. nomenclature on implant attributes) through data analysis and reporting techniques, to new methodology for evaluating performance of medical devices. As a standing committee, NORE is embedded within EFORT and can use the EFORT platform to disseminate education and research on registry data to the members and the public and government bodies and related industry to create awareness on performance of medical devices. This enhances patients’ and public confidence and trust in both medical devices and surgeons who use them in order to sustain and improve public health. To that purpose, symposia with involvement of all stakeholders are organised. Although NORE initially focused on registries of hip and knee implants and procedures, other initiatives and established registry formats for other joints (e.g. ankle, shoulder, spine) and diseases (hip fractures, clubfeet etc.) as well as regional and hospital-based registries are part of the NORE network. The purpose with the latter is to present “best practices” from established registries within the network in order to create a blueprint for emerging registries. Education (supporting EFORT annual congresses). NORE is organised as an EFORT standing committee and reports to the EFORT Board. The governance structure was defined at the NORE kick-off meeting during the EFORT Congress 2015 held in Prague (Czech Republic). and in addition, members from the NORE network representing the British Orthopaedic Association (BOA) or the National Joint Registry (NJR), the Nordic Arthroplasty Register Association (NARA), the German Hip Arthroplasty Register (EPRD), other European Registries and the International Society of Arthroplasty Registries (ISAR). NORE as an all-inclusive network will foster international collaboration and co-ordination of learning and research in orthopaedics, with special focus on medical device surveillance, arthroplasty outcome, and other registries of orthopaedic conditions in order to support improvements in patient care. NORE will provide advice and awareness to EFORT on international perspectives, experiences and practices in medical device surveillance. This may range from data capture (e.g. nomenclature) through data analysis and reporting techniques, to new methods for evaluating performance of medical devices. Create an all-inclusive national, regional and speciality society orthopaedic registry network. Advice to emerging but also to established registries on registry related issues (e.g. data collection, methodological issues etc). Initiate education and research projects within the network. Promote awareness of NORE and its activities on an international level. Comply with responsibilities of an EFORT standing committee. Stimulate uniformity of registration and definition to enhance comparison of findings within Europe. NORE stands for Network of Orthopaedic Registries of Europe. Initially, NORE will focus on Registries of Hip and Knee Arthroplasty – although initiatives and established registry formats for other joints and diseases (e.g. ankle, shoulder, spine, hip fractures) are not excluded. Even more, these established formats may help to create a blueprint to be used by others. The goal of the organisation is to produce uniformity in nomenclature and define those variables to be collected within a registry as a dataset. The network is organised as a standing EFORT committee and reports to the EFORT Board. As such, the EFORT regulations for standing committees apply except that it is anticipated that the organisational structure will be self-funding. The network will be led by an Advisory Board under the leadership of a chairman appointed by EFORT for three years. The chairman can be re-elected once. The current chairman is Prof. Dr. 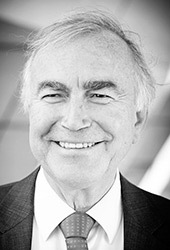 Rob G.H.H. 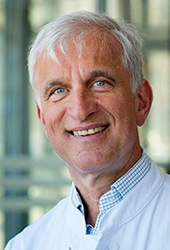 Nelissen, Chair & Professor Orthopaedics at Leiden University Medical Center (the Netherlands). and in addition, members from the NORE network representing the British Orthopaedic Association (BOA) or the National Joint Registry (NJR), the Nordic Arthroplasty Register Association (NARA), the German Hip Arthroplasty Register (EPRD), other European Registry and the International Society of Arthroplasty Registries (ISAR). Collaboration with other international organisations (e.g. ISAR, ICOR etc) on registry data will improve implant related patient outcome. The main difference with other organisations is that NORE uses the EFORT forum as platform for its education and research endeavours.